Last week, Meriel Beament Bradford, a member of the Juno Beach Centre Association’s Canadian Board of Directors, attended a meeting of the IODE Laurentian Chapter. IODE Canada is a national woman’s charitable organization; they share with the Juno Beach Centre a dedication to furthering education. We were excited to be able to share our messages with them, especially in light of our new temporary exhibit, Great Women in the War (opening Spring 2019). Thanks to the IODE Laurentian Chapter and Linden House Theatre in Ottawa for welcoming us! 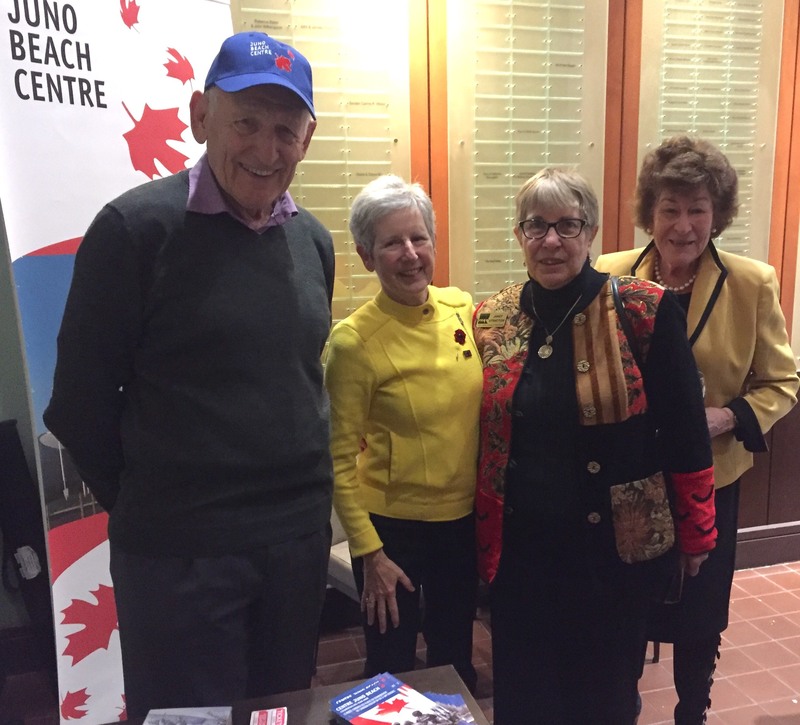 Over $450 was raised for the Juno Beach Centre, specifically in the interest of helping veterans travel to Normandy for the 75th anniversary of D-Day. We’re appreciative of any opportunity to speak with Canadians about the Juno Beach Centre and the significance of next year’s anniversary, and rely on the continued generosity of individuals and groups like the IODE to help maintain our programming. Meriel is pictured here with Janet Stratton, President of the IODE Laurentian Chapter (centre left and right respectively). They are flanked by Jim Bradford and an enthusiastic raffle ticket purchaser. To learn more about the good work of the IODE Canada, visit their website. Announcing the JUNO75 Student Pilgrimage Participants!